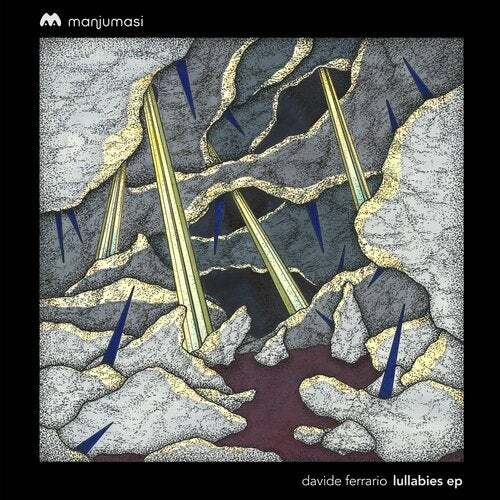 Number seventeen on San Francisco's Manjumasi showcases the stylings of Italian musician and producer Davide Ferrario. Drawing on a background in both composition and live performance, Davide's two-track offering is richly musical, showcasing his melodic sensibilities as well as a talent for crafting deep grooves. The lead track "Model" kicks off with a powerful kick and a thick, punctuated bassline. From there the track builds an increasingly complex harmony of layers up into a forceful crescendo of rich, detuned-oscillator synth stabs, with a tone that is both dark but optimistic. The track is well-complemented by "Jewel Ice," which shows Davide's softer side in a beautiful sonic tapestry of pretty piano lines, supported throughout by ethereal string pads and sparkling synth details. First up on remix duties is SF producer and Manjumasi alumnus Bengal, who takes the ingredients of Model and re-works them into a softer, more lush groove. Hypnotic, looping melodic layers carry the groove steadily and gently forwards, with Bengal's unique and sophisticated percussion style seasoning the mix with artistic detail. Rounding out the package, Toronto DJ/producer and co-founder of No. 19 records turns in a deep, dubby late-night take on Jewel Ice. Stripping the track down to its core elements, Nitin hones in on the seductive piano lines, re-situating them at the very center of a mysterious and haunting afterhours groove.